I was hiking in the Little Devils Stairs area of Shenandoah National Park and lugged my camera along to see what I might shoot. It was a quiet day, but I ran into this bird which kept up with me for a length of the trail. I kept trying to take shots of it, but it was jumping around too much. 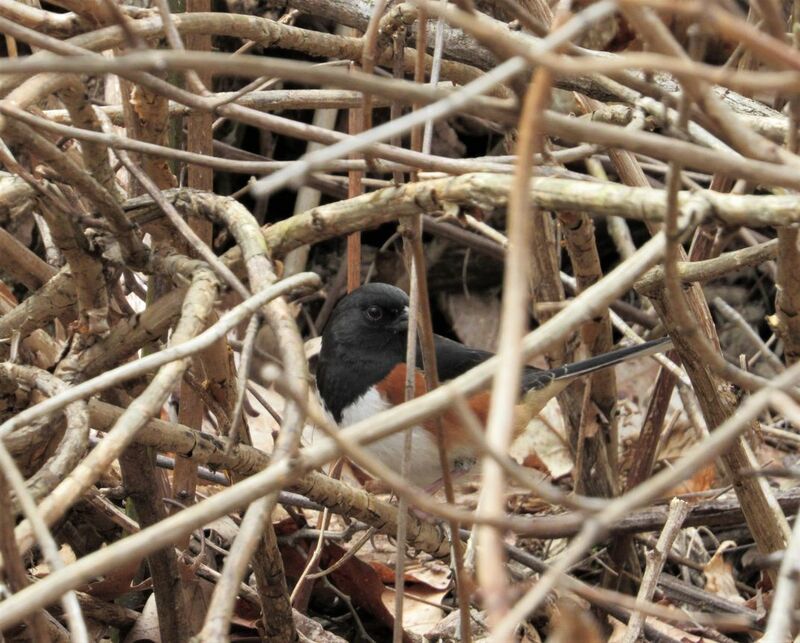 I finally got this shot of the shy little bird, seemingly spying on me through the brush. Date Uploaded: Oct. 28, 2018, 10:21 p.m.